It’s that time of year again – Christmas – which seems to come round faster every year. Is this perhaps yet another sign of ageing? I think not, more a reflection of the fact that with each year the Christmas season creeps forward by a day or so as the shops start blaring Slade et al and shoving tinsel in our faces from early September. 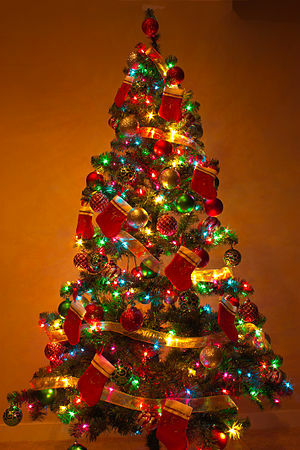 Let’s get one thing straight – I love Christmas. Nothing can transport you more readily back to childhood than the magic of Christmas. Only the most miserable of individuals can fail to be swept up to some degree into the jollity and frivolity of this season. However, it is not without its complications and of course it will come as no surprise to you my observations. The advent calendar. Or in my house, plural. When I was a child an advent calendar was a very simple piece of card which depicted a traditional nativity scene (yes, kids – “nativity” – the central word for Christmas in case you had forgotten) and some badly perforated windows to be opened each day where you would find some random supposedly Christmassy object – always a robin and a bell and often a cat (why a cat?). The biggest challenge that the advent calendar presented in those days was opening a window without causing the other windows either side to open inadvertently. The biggest challenge nowadays is actually to find an advent calendar depicting a traditional nativity scene rather than some bizarre mixed up Christmas scene with Santa, Jesus, a snowman and some carol singers vying for centre stage. This year my children have got two calendars each – one traditional nativity scene which I hope will serve as some small reminder of what advent actually is and one chocolate calendar. I would cheerfully throttle the person/people who thought putting chocolates in an advent calendar was a good idea. It is hard enough to persuade my children to brush their teeth in the morning without all my efforts being wasted on a stale chocolate which has probably been sitting behind that calendar window for most of 2013. All pretences of the meaning of advent also go out of the metaphorical window when it comes to chocolate advent calendars. My daughter’s chocolate calendar is a “Hello Kitty” calendar – I am not even going to bother to pretend to her that “Hello Kitty” has got the faintest association with advent or indeed Christmas. As usual in our family, the school nativity play has not been without its fraught moments. My daughter, like every other girl in her class, was completely convinced she had landed the part of Mary. I could only watch on knowing that never making Mary is one of the burdens you have to carry with you for the rest of your life. To be fair, I didn’t even get close – I didn’t even make head angel. Predictably my daughter’s confidence that she had secured the role was misguided and she is a King. This is not good news – not only has she not made Mary, but she is playing a “boy” part so no tinsel, sparkles, wings etc. For me there is a silver lining however, as I am not expected to provide a King costume as apparently the school have already got one. Although I am not going to pretend that in the past I have slaved over costumes for school plays – I find that the big supermarkets do a great budget version of almost any character you could wish for and who cares that all around the country in every school nativity, the shepherds are wearing exactly the same £7.99 nylon, highly flammable, shepherd’s tunic and carrying a rather unusual plastic crook? My next complication with Christmas is my middle son’s obsession with the technicalities of Father Christmas’s itinerary over the festive period. It is without doubt very good for his mental maths but not very good for my sanity that daily, soon to be hourly, he is calculating FC’s speed per hour, houses visited per minute etc and inevitably always concluding its impossibility and then requiring some sort of rational explanation from me. This is very very tiring. This is coupled with his new line of attack: he will say “So and So got an X-box from Father Christmas last year, how come I got a satsuma?”. Explain that one. How I would love to shout at So and So’s parents and tell them how hard they are making it for the rest of us but also I would love to tell my son how lucky he is that Father Christmas comes at all as there are millions of children around the world whom he won’t visit. Only, of course, I can’t do that without ruining the magic of FC for him. One thing that I am sure is a sign of ageing is my new obsession with completing my Christmas shopping weeks before the big day. This year I am feeling smugger than ever (not because I have finished the shopping) but because I have yet to set foot in a shop – I have done it all online. Christmas shopping brings out the utter worst in people. Normally sane and rational people become persons possessed as, list in hand, they hunt down their targets with a single-mindedness not seen at any other time of year. All this is done to a backdrop of over-heated shops churning out Wham!, Slade, Shakin’ Stevens and friends on an interminable loop, nodding Santas saying “Ho! Ho! Ho!”, reindeers with flashing antlers and harried shop assistants with tinsel in their hair – and this is mid-October. I am sure it must contravene some sort of human rights law to have to wear tinsel (which incidentally I absolutely hate) in your hair for a period of 2 months or more. No, shopping in shops is no longer for me, I am an internet Christmas shopper. One word of warning, make sure you shop in the morning with a cup of tea rather than in the evening with a glass (bottle) of wine – you can get rather carried away with the latter in your hand. With that in mind, it is time for me to do some more Christmas shopping online now. I’ve got to buy presents for the school teachers. I am not sure whether this year I shall be contributing to what I call the candle economy – a booming industry in which 20 children in a class give their teachers a candle so that said teacher ends up with enough candles to open a chandlery (in its original meaning) and then re-distributes the candles to others as presents through the rest of the year before the whole cycle starts again. I am not knocking it – everyone loves a candle and you can never have enough candles, can you? 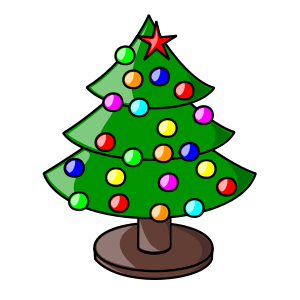 Posted in General Musings	| Tagged Advent calendar, angel, chocolate, Christmas, Christmas shopping, Christmas tree, Father Christmas, Hello Kitty, Holidays, Mary, nativity, October, Santa Claus, September, Slade, Tinsel, Wham!